As the Australian Open enters its final weekend, the first Grand Slam of the year brings with it a frustrating and perennial question in American tennis circles: Where’s the next great American player? The decades-long brilliance of the Williams sisters, on full display at this Australian Open, continues to inspire awe. But discounting Venus and Serena (owners of 29 Grand Slam singles titles between them), no active American female player has made it past a Grand Slam semifinal (Alexandra Stevenson at the 1999 Wimbledon; Sloane Stephens at the 2013 Australian Open; Madison Keys at the 2015 Australian Open; and now Coco Vandeweghe in a surprise run). And no American man has advanced beyond a major quarterfinal (John Isner at the 2011 U.S. Open). This fact is not lost on U.S. Tennis Association (USTA) president Katrina Adams, a former professional player who once ranked as high as No. 8 in the world in doubles. Adams recently began an unprecedented second two-year term as the head of American tennis. Her mandate, however, is not only to help produce the next great American champion, but to grow the sport at all levels. And as the USTA’s first black president, Adams has a unique and personal link to the rich history of African-American achievement in the sport. “I look at myself going from the public courts to the boardroom, and I think every child needs to understand that no matter where you start, you can rise to the highest levels,” Adams told The Undefeated in an exclusive interview shortly before the Australian Open. Alexandra Stevenson of the United States during the match against Emily Appleton of Great Britain on June 8, 2016 in Surbiton, England. At the professional level, the prospects for young African-Americans are encouraging. On the women’s side, five of the six active Americans to reach a Grand Slam semifinal are African-American. And Stephens, 23, and Keys, 21, presumably have their best tennis ahead of them — though both skipped the Australian Open with injuries. (Stevenson, whose father is basketball legend Julius Erving, is 36, has battled injuries, and now sits outside the top 500.) 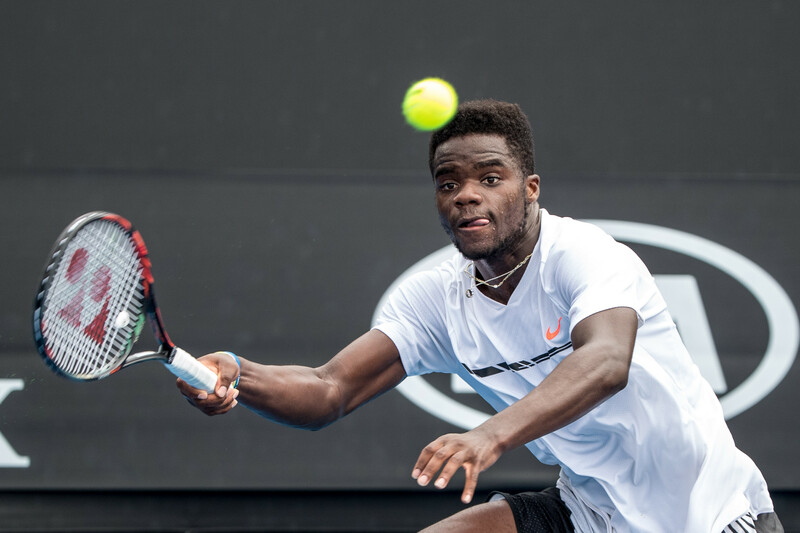 On the men’s side, the tennis cognoscenti have pegged 18-year-old Francis Tiafoe, ranked 107 coming into the Australian Open, where he fell in the second round, as a potential champion, and 19-year-old Michael Mmoh, ranked 195, is also likely to rise quickly. Adams, 48, grew up on Chicago’s West Side in a middle-class neighborhood and began playing tennis when she was 6 — the same year that Arthur Ashe won Wimbledon. “I started out in a black program,” she said. She showed such early talent that she played with older boys in the Martin Luther King Jr. Boys Club program. As she improved, she became one of only a handful of girls of color on the competitive junior circuit, frequenting the posh, predominantly white clubs of the suburbs. Zina Garrison-Jackson plays a shot over the head of partnerKatrina Adams during their match against Debbie Graham and Linda Harvey-Wild at the 1995 World Doubles Cup held in Edinburgh. Adams’ parents, James and Yvonne, weren’t tennis players, but they were old enough to remember when tennis, like other sports, was segregated. In 1950, three years after Jackie Robinson first donned a Brooklyn Dodgers uniform, Harlem’s 23-year-old Althea Gibson was invited to compete at the U.S. National Championships, the precursor of the U.S. Open, in Forest Hills in New York, officially breaking tennis’s color line. Gibson would go on to win five Grand Slam singles titles and six doubles titles and, remarkably, help integrate professional golf when, in 1964, she became the first African-American to compete on the Ladies Professional Golf Association tour. Today, Adams said, “there are no barriers to entry to the sport,” citing thousands of free to nearly-free youth tennis programs across the country, either under the auspices of the USTA’s National Junior Tennis and Learning programs or independent community organizations. That may be true, but significant improvement only comes with more focused and structured instruction that can be prohibitively expensive. Just to rent an indoor court in New York City, for instance, can cost upward of $100 per hour. And even at public facilities throughout the country, one-on-one lessons with a teaching pro typically cost more than $50 per hour. There are numerous organizations that offer heavily-discounted intermediate and advanced instruction. At the not-for-profit Harlem Junior Tennis and Education Program, where Adams served as the executive director and remains a board member, 10-week packages that include 30 hours of court instruction and more than 10 hours of scholastic instruction start at $275. It serves 1,000 kids during the school year and about 300 in the summer. The Venus & Serena Williams Tutorial Tennis Academy in Los Angeles offers a five-day winter camp of tennis and field trips for $300. At the XS Tennis and Education Foundation on the South Side of Chicago, which serves 2,300 youths a year, small-group tennis lessons start at $12 per hour. But even at that reduced rate, said XS Tennis founder Kamau Murray (who also currently coaches Stephens), tennis is a more expensive proposition than other sports. “You can play basketball for a year for the price of what it takes to play tennis for two months,” he said. And if a talented junior pursues a top national ranking, the costs can skyrocket. Bob Davis, who operates the web site blacktennishistory.com and consults for Florida’s IMG Academy, estimates that it can cost families $100,000 per year to maintain a child’s top ranking. Expenses include private coaching, equipment, and travel. 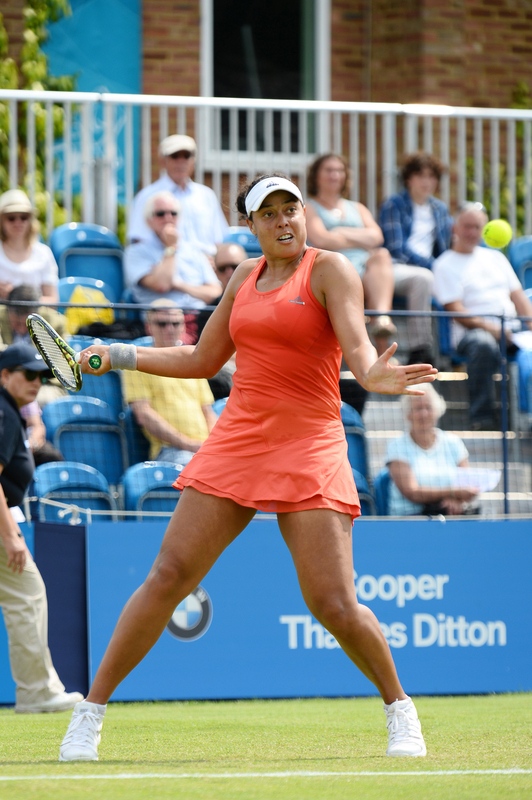 The junior tour’s top tournaments span the country, plus there’s an international junior circuit and the prestigious junior tournaments at each Grand Slam event. And given the disparity between white and African-American wealth in the United States — in 2014, the median income for African-American households was $43,300 and $71,300 for white households — it’s little wonder that there have been relatively few African-Americans in the game’s top ranks. And it’s why the stories of the Williams sisters (whose driven father, Richard, taught them the game in Compton, California) and up-and-comer Tiafoe (whose immigrant father was a janitor at a tennis club) are so remarkable. Frances Tiafoe of the United States of America returns the ball during the first round of the 2017 Australian Open on January 17, 2017, at Melbourne Park Tennis Centre in Melbourne, Australia. The USTA generates about $200 million annually, most of which comes from the proceeds of the U.S. Open. It spends about $30 million each year on elite player development — earlier this month Adams flew to Orlando, Florida, to unveil the USTA’s new $63 million training and recreational campus — and another $5.5 million on grants, scholarships, and other services targeting underserved communities. But the money is spread thinly. “I asked the USTA for some money in December to help with traveling costs, and they said they didn’t have any,” said Gayal Black, the mother of two talented African-American players, 15-year-old Hurricane Tyra Black and 18-year-old Tornado Alicia Black. A single mother who teaches tennis in Florida for a living, Gayal Black says her daughters — Hurricane is ranked 11th in her age group nationally, according to the Tennis Recruiting Network; Tornado was professionally ranked 404 in the world two years ago but has been hampered by injuries — can’t play a full schedule because they lack money for travel. The USTA has helped the Blacks in the past, and will help them to travel to some smaller tournaments in the spring, Gayal Black said. And while Hurricane played in this year’s Australian Open juniors, losing in the first round, she lodged with a family friend and her mother stayed in Boca Raton, Florida, to save money. It’s true that there are about 8,000 NCAA tennis scholarships available. But at least a third of them go to foreign players, which is a contentious issue, especially since college tennis isn’t a revenue-producing sport. “I’m not sure why American taxpayers should subsidize a kid from Germany to play tennis,” said Wayne Bryan, whose twin sons, Bob and Mike, played for Stanford on scholarships before embarking on their professional careers as a doubles team. And who’s to say, if college admittance is the goal, that youths wouldn’t be better served studying chemistry than honing their forehands?